Different forms of Tinnitus sounds, and what can cause it including physical and psychological conditions. How to go about getting a diagnosis and the various forms of treatments available depending on the diagnosis. How hypnosis can help with the treatment of Tinnitus and the expectations you should have for outcomes. Further reading, medical studies and resource links around Tinnitus and various treatments. Have you ever experienced ringing, pulsating sounds or buzzing in your ears? Have you had this problem for some time and it makes you feel uncomfortable, and at times disrupts your life? This “ringing in your ears” is commonly referred to as Tinnitus. Tinnitus is believed to affect at least 10-15% of the general population, with 5% of those experiencing it are severely impacted in performing day to day activities. Often times, it’s referred to as a phantom auditory sound as the noises someone with tinnitus experiences are present in the absence of external noise. Individuals suffering from tinnitus may also experience tension in their neck, jaw, and head, which can lead to headaches. Furthermore, when it’s acute tinnitus can lead to psychological issues such as an individual experiencing anxiety and depression. The medical profession recognizes generally two types of tinnitus: Subjective Tinnitus and Objective Tinnitus. Subjective tinnitus is “Head or ear noises that are perceivable only to the specific patient. Subjective tinnitus is usually traceable to auditory and neurological reactions to hearing loss, but can also be caused by an array of other catalysts. More than 99% of all tinnitus reported tinnitus cases are of the subjective variety” . Objective tinnitus is “Head or ear noises that are audible to other people, as well as the patient. These sounds are usually produced by internal functions in the body’s circulatory (blood flow) and somatic (musculo-skeletal movement) systems. Objective tinnitus is very rare, representing less than 1% of total tinnitus cases” . I’ve personally lived with tinnitus for a long time. Like so many I’ve got used to it and I’d consider it mild compared to many others. I’ve known people though at the extreme who’ve been driven to considering suicide. One of those I’ll talk about later and how they overcame it. Tinnitus is the sensation of hearing sound when no external sound is present. Commonly known as “ringing in the ears” the sound and its level varies from sufferer to sufferer. With some its a mild background noise with minimal impairment on daily life. With others it can be a constant uncomfortable sound causing major disruption in their lives. The Mayo Clinic defines tinnitus and its symptoms as: “Tinnitus is the perception of noise or ringing in the ears. 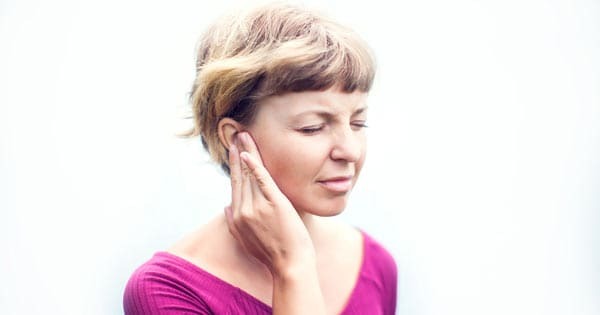 Tinnitus isn’t a condition itself – it’s a symptom of an underlying condition, such as age-related hearing loss, ear injury or a circulatory system disorder” . “Tinnitus symptoms include these types of phantom noises in your ears: ringing, buzzing, roaring, clicking, or hissing. The phantom noise may vary in pitch from a low roar to a high squeal, and you may hear it in one or both ears. In some cases, the sound can be so loud it can interfere with your ability to concentrate or hear actual sound. Tinnitus may be present all the time, or it may come and go” . Is it really a by-product of listening to blaring music as a kid, or having too much ear wax build-up? Not necessarily in all cases! It was once believed that tinnitus was caused by resultant damage to microscopic nerve endings in the inner ear. More current research asserts tinnitus is a symptom and not an actual disease, as a result of an injury to the peripheral auditory system, hearing nerve or auditory centers in the brain. However, there are a variety of other causes that have been associated with tinnitus. The more common causes are eardrum perforations (sometimes the result of sticking Q Tips in your ears), over-wax buildup, ear infections, barotitis, which is when your ears get blocked after flying in an airplane, extreme noise exposure, head injuries, grinding your teeth, as well as advancing in age, while being exposed to noise over the years. There are more complex causes of tinnitus, such as medical conditions referred to as otosclerosis, which is an abnormal bone growth in the middle ear. Also, intense periods of stress as well as certain medications, such as aspirin in high doses have also been linked to tinnitus. The fact is tinnitus can develop at any time in a person’s life with many long time suffers not recalling when it started and what event brought it on. In the next section I’ll cover getting a diagnosis for tinnitus and common treatments for it. The audiological tests can also help rule out other causes by comparing your hearing levels to what is normal for your age. “The sounds you hear can help your doctor identify a possible underlying cause” . The pitch and the type of sound you hear can determine if the symptoms can be caused by muscle contractions, ear canal blockages, ear wax build up or a foreign body in the ear canal. Certain heart and ear conditions can cause tinnitus symptoms which can be uncovered with physical exams and CT and MRI imaging tests. However, in many cases the cause of the tinnitus won’t be found, and so the focus will be on treatments to reduce the impact on your life. So, how does one treat tinnitus? There is currently no scientific cure for tinnitus. The treatments mentioned below help reduce the impact on sufferers but there is no one treatment preferred over another as depending on the cause – if discovered – different treatments and sometimes in combination will help individual cases. It’s a question of trying and seeing which treatment(s) work for you under the guidance of your Doctor and potentially other specialists and professionals. These treatments and tools, “help patients manage their condition; treatments that reduce the perceived intensity, omnipresence, and burden of tinnitus. These currently available treatments are not “cures” — they neither repair the underlying causes of tinnitus, nor eliminate the tinnitus signal in the brain. Instead, they address the attentional, emotional, and cognitive impact of tinnitus. They help patients live better, more fulfilling, and more productive lives, even if the perception of tinnitus remains” . Common treatments include: ear wax removal, treating vascular conditions through surgery, medication changes if its known a medication you’re taking can cause tinnitus-like symptoms. Leveraging noise suppression devices can help such as white noise machines and other noise-masking devices along with hearing-aids. Tinnitus retraining involves “A wearable device delivers individually programmed tonal music to mask the specific frequencies of the tinnitus you experience. Over time, this technique may accustom you to the tinnitus, thereby helping you not to focus on it. Counseling is often a component of tinnitus retraining” . Doctors suggest quitting smoking for smokers, as well as limiting consumption of alcohol, caffeine, salt in diets, and taking aspirin. In cases where the ailment causes concentration problems, fatigue, depression, anxiety and sleepless nights, medication is prescribed to help with these symptoms. Medications tackling tinnitus directly include Tricyclic antidepressants, and Alprazolam, although they don’t cure tinnitus and have potentially harmful side-effects and because of this tend to be used only in severe cases. Many individuals have reported benefits using alternative therapies such as acupuncture, supplements and vitamins, and hypnosis. Hypnosis can be effective for helping in shifting one’s concentration off of the “ringing in the ears,” thus allowing sufferers to reduce the tinnitus to low-level background noise. As hypnosis as a treatment touches on my professional training I’m going to share current thinking on this as a treatment in the next section. 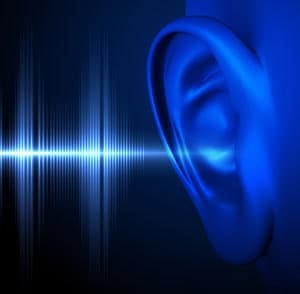 CAN HYPNOSIS PROVIDE TINNITUS RELIEF? As with other treatments you should consider hypnosis to help alleviate the impact of tinnitus on your life but not cure it completely. While organizations like the American Tinnitus Association (ATA) fund and promote for a cure for Tinnitus, current common treatments aren’t providing this cure. Likewise, while there is no literature identifying research on specific medications for tinnitus being undertaken by pharmaceutical companies, the expectation is it would alleviate symptoms rather than offer a common cure if a drug was successfully manufactured. In the U.S. we tend to look for a “magic pill” for anything as the ideal solution when it tends to only tackle the symptoms rather than offer a cure. This is universal in chronic disorders impacted by our psychological condition. Before approaching hypnosis work with your Doctor to ensure your tinnitus isn’t due to a medical issue such as a tumor or other physical condition that can be medically treated. A hypnotist would require you to do this before starting any program. There are also studies suggesting that sufferers with hearing loss are not helped using hypnosis. Hypnosis also tends to be a last resort for many problems, when all other clinical treatments have failed to help. This skews the people who come to hypnosis to get relief as the most chronic sufferers who have tried everything else with no positive impact. Hypnosis generally then attracts the toughest and most stubborn conditions of tinnitus, when it can potentially provide help to all level of sufferers. This fact is frequently overlooked when researchers or the medical community compare hypnosis with other treatments. As is similar to other conditions tinnitus sufferer’s impression of their own condition strongly affects the impact it has on them. Or, put another way, the intensity of the condition can be attributed to psychological reasons. This isn’t saying the sounds heard are not “real” just, like pain in a joint, the intensity level can vary day to day and so the impact can be influenced from a psychological perspective. As hypnosis has long been used to help with pain relief management  it shouldn’t be a surprise hypnotherapist’s offer sessions for tinnitus sufferers. Clinical literature has reported its use for tinnitus with case reports for 50-years or longer [Pearson M, Barnes L. Objective tinnitus aurium: Report of two cases with good results after hypnosis. J Phila Gen Hosp 1:134–138, 1950]. A study has been conducted on the applicability of self-hypnosis as a treatment for tinnitus  and concluded it can be a viable treatment. Self-hypnosis is when the patient enters hypnosis by themselves directly or by listening to a recorded session led by a hypnotist. Self-hypnosis provides the opportunity for a patient to leverage the benefit of hypnosis whenever needed without having to schedule an appointment with a hypnotist. Most professional hypnotists – myself included – can provide the training and/or recorded session, for a patient to enter self-hypnosis. There are different hypnotic techniques used by hypnotists when working with tinnitus patients. 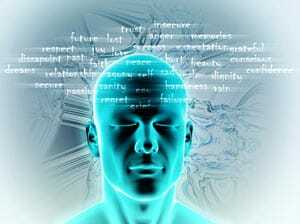 One of the more prevalent used today is what is called Ericksonian Hypnotherapy. Milton Erickson is a famous psychiatrist who specialized in medical hypnosis and family therapy. He developed a style of hypnosis using indirect suggestions tapping into stories and metaphors rather than the more common direct hypnotic suggestions. A small clinical trial was conducted on specific use of Ericksonian Hypnotherapy and it demonstrated that “Ericksonian hypnosis, in particular using self-hypnosis, is a promising technique for treating patients with tinnitus” . A criticism leveled at results of clinical studies using hypnosis as the main treatment for tinnitus is they’ve been mostly conducted by hypnotherapists so a bias was present from the start. In addition, the professional hypnosis field includes those who advocate only using the process they’ve developed and while using a professional hypnotherapist who has successfully helped tinnitus sufferers is a logical first-step, suggesting only one technique preferred by a psychologist or hypnotherapist is the answer is… illogical. The translation of sounds into something we hear is complicated but we do know while the ears receive the sounds the actual interpretation of those sounds is produced in our brain. This has led to the belief that many cases of tinnitus are psychological in nature and can be influenced by treatments aimed at reducing negative emotional issues such as stress, anxiety, fear, and depression. As we know our emotions are controlled by our subconscious and as hypnosis works with our subconscious mind then treating tinnitus conditions this way is a viable treatment. Hypnosis has also long been used to change habits such as addictions for example smoking and unhealthy eating. Charles Smithdeal, MD, FACS, C.Ht, is a former tinnitus and hyperacusis sufferer, a board-certified Hypnotherapist and Otolaryngologist, and has argued “The most crucial factor in whether we’re able to ignore (habituate) a stimulus is whether it’s associated with a positive or negative emotional response.” He’s also written “Your conscious mind can pay attention to about a hundred bits of information at any given instant; however, there are millions of information bits bombarding you constantly, some deemed by your mind to be more important than others. These bits, or stimuli, include sight, touch, smell, taste, and hearing. The relative importance of the stimuli is always changing, so the degree of attention you grant them also changes. Your conscious mind chooses to ignore any not deemed threatening, challenging, exciting, rewarding, or essential to your survival. That is, your brain ignores things it considers unimportant” . On the other hand, your brain will not allow you to ignore any stimuli associated with dangerous or unpleasant situations. While you certainly wouldn’t want to teach your brain to ignore life threatening situations nonetheless turning down the volume dial on emotions that impact the level of suffering invoked by pain or tinnitus is a valid therapy to consider. Back to Charles Smithdeal again “Many people who undergo hypnotherapy are able to influence the characteristics of their tinnitus, and some can actually reduce its volume, just as people learn to reduce pain through hypnosis” . Kevin Hogan is another psychotherapist specializing in hypnosis and who is also a sufferer of tinnitus and advocate of hypnotherapy use in relieving tinnitus. Hogan’s tinnitus at one point was impacting his life to such a depth he freely admits he was considering suicide and writes about this in a personal account and how he recovered . Hogan is an accomplished Psy.D and a straight-shooting down-to-earth psychologist, and used self-hypnosis in order to successfully bring his tinnitus under control to the point where it doesn’t impact his life any longer. Hogan wrote a book called “Tinnitus: Turning the Volume Down” and has also developed a CD/DVD self-hypnosis program – Tinnitus Reduction Program – both aimed at tinnitus sufferers . Similar to Smithdeal, Hogan advocates seeking out a hypnotherapist specifically trained in dealing with tinnitus. Many people prefer seeing initially a hypnotherapist before moving into self-hypnosis, particularly with an issue like tinnitus. This helps speed up the process and provides professional guidance to get the patient moving in the right direction quickly rather than being distracted by also learning the techniques and nuances of self-hypnosis. Most hypnotists can provide self-hypnosis training as part of their tinnitus program. There are different hypnosis techniques used by hypnotherapists in dealing with tinnitus. These include Regression Therapy, Ericksonian Hypnosis (or indirect suggestion), and traditional direct suggestion therapy. There is no one size fits all for a specific client and an experienced hypnotherapist should be able to determine the right approach to help a client, and it could be a combination of these techniques plus other therapies such as EFT – Emotional Freedom Techniques. Regression therapy takes you back to a point in time before tinnitus was impacting your life to determine the cause or trigger of the onset. Once this trigger is identified then the therapist can work using other techniques to help reduce the impact. Many times, patients cannot recall the event or time when it first started but under hypnosis the unconscious mind can often yield up the event. Ericksonian or indirect hypnosis as I discussed earlier uses hypnotic techniques such as stories, metaphors and other language techniques to produce outcomes, rather than direct suggestions to get a patient into trance and provide indirect suggestions once in there. Many professional hypnotists learn traditional direct suggestion hypnosis when starting out as their primary therapeutic technique, and advance to Ericksonian and Regression therapy in order to provide more options for different types of issues and client responsiveness . To be clear using hypnosis for tinnitus is not as a cure, but it has been successful in reducing the volume of tinnitus to a point where for some it’s not noticeable at all, and for others its impact is minimal and still allows them to lead a normal life. Use the resources identified below to find out more about the treatments for tinnitus and in particular about hypnosis and your next step should this be an avenue you determine makes sense to explore further for your condition. As Tinnitus is one condition that can be classified under the general term of noise sensitivity – Hyperacusis is also included – then you may be interested for further reading on an article I updated recently called “Treatments for Noise and Sound Sensitivity Including Misophonia and Hyperacusis” and linked below in the resource section . Tinnitus is a condition that can be caused by different physical and psychological issues. There is no known cure for it but an array of treatments is available and some can be used in combination and aimed at lessening the impact on a sufferer so they can lead a near normal life. 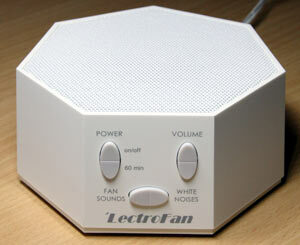 The intensity of the sounds varies and this can dictate what type of treatment is used. Anybody afflicted with Tinnitus at the onset should seek medical evaluation in case it is caused by a medical condition requiring surgery or can be lessened by other medical procedures. Once its determined the sound is psychological in nature then hypnosis is a viable treatment for many people and both used as the primary treatment or in combination with other forms.